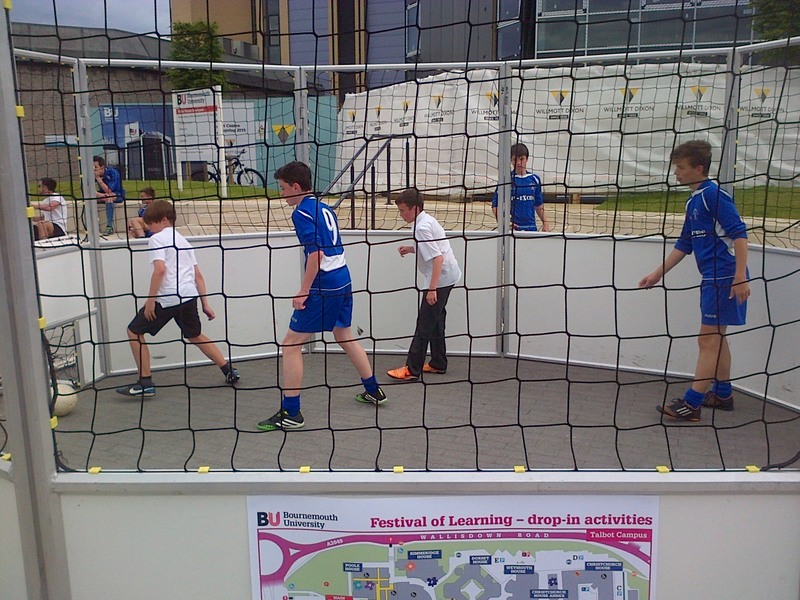 This BU Festival of Learning 2014 event, ‘An introduction to street soccer: An alternative format of football’ was run by Andy Boland. 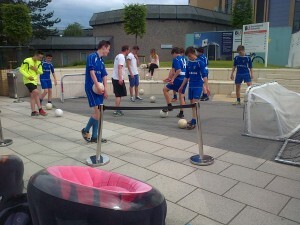 It was a drop in event, with passers-by being invited into the panna cage for a ‘1 v 1’ with the aim of out-skilling your opponent with goals and nutmegs (the ‘panna’). The Christchurch U14’s football team came down in the afternoon where Andy took them through a number of street soccer drills and techniques before letting them loose in the panna cage. It was remarkable how quickly these ‘traditional’ 11 a-side football players adapted to the different skills of street soccer. Further sessions are being run throughout the Festival, so why not drop by and ‘have a go’.